Reston Association is expanding its Volunteer Reston Service Awards in 2017 to include more recognition categories. Nominations opened Jan. 27 and can be made through March 17. RA’s service awards recognize individuals, families, groups and businesses that make a significant contribution to the community through volunteer service. The 2017 awards winners will be announced at a special ceremony during National Volunteer Week, Thursday, April 27, from 6:30-9 p.m. at The Lake House. Every year, hundreds of Reston volunteers give their time to make a difference in the lives of those around them. 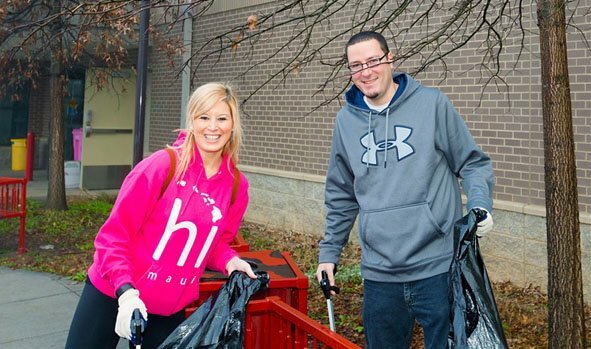 RA volunteers participate in community cleanup and environmental events; take shifts at community events and festivals; serve on the RA Board of Directors, advisory committees and working groups; and others provide daily operational support to the association. Completed nomination forms should be brought to the RA headquarters (12001 Sunrise Valley Drive) and left for Ha Brock, RA’s volunteer supervisor. They can also be mailed in or emailed to [email protected].